Ecosure have now released their new water tank holding 1050litres. This new slimline is designed to fit into most tight spaces. For gardeners who need more water than most, the Ecosure 1050 is ideal. 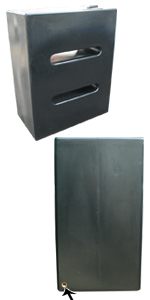 Slim in design, the 1050 is ideal for storing water tight spaces.